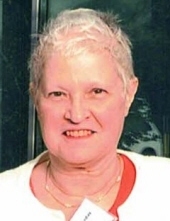 Ms. Barbara A. Easterday, 68, died on June 10, 2018, at Sunrise Senior Living in Newtown Square, PA.
Born in Philadelphia, PA, Ms. Easterday was a resident of Springfield since 1957. She was a 1969 graduate of Springfield High School. She also attended the Keystone School of Business in Springfield. Ms. Easterday was employed for 42 years as an accounts payable manager at Eastern University before her retirement in 2017. She was a member of the Church of the Redeemer. She loved ice skating and competed through a skating club in Wilmington, DE. A cat fancier, she also enjoyed her trips to the Healthplex, swimming, and flowers and gardening. She is survived by her dear friend, Tim Kolynych, his sister, Ann Kolynych, and many cousins. Relatives and friends are invited to her visitation on Saturday, June 23, after 10:00 AM followed immediately by her funeral service at 11:00 AM at the Church of the Redeemer, 145 W. Springfield Rd., Springfield, PA 19064. Donations in her memory may be made to the Church of the Redeemer at the above address. To send flowers or a remembrance gift to the family of Barbara Easterday, please visit our Tribute Store. "Email Address" would like to share the life celebration of Barbara Easterday. Click on the "link" to go to share a favorite memory or leave a condolence message for the family.